Discussion in 'Solo' started by SWNN Probe, Sep 12, 2018. The home release of Solo: A Star Wars Story is just a couple of days away, and information on the movie's attached bonus content is pouring in. Today, we get a preview of a previously unreleased music track from the movie from composer John Powell and a sneak peek at a few of the included featurettes! First, take a listen to John Powell's exceptional work in Darth Maul's theme from the movie, featuring motifs from 'Duel of the Fates' and 'Qi'ra's theme.' This track was not released with the official soundtrack, perhaps because they feared that the 'Duel of the Fates' motif could give away the character of Maul. It seems they've learned a little something about soundtrack titles since the release of The Phantom Menace. 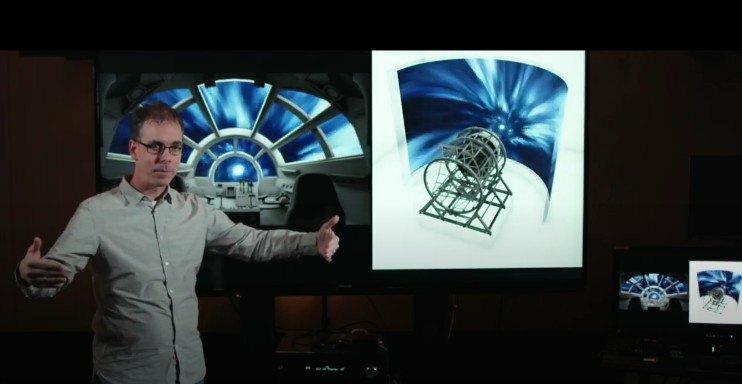 Next, io9 has released a new video from the Solo: A Star Wars Story home release, focusing on the way the vfx crew executed the hyperspace scenes in the movie and how the cast reacted during the filming of these scenes. You can watch the video on io9's website here. Also, two new Solo featurettes were posted on Twitter yesterday by Fandango and D23. In the first video, Alden Ehrenreich tells the story of how he shared the news of his casting as Han Solo and discusses his initial feelings about winning the part. Solo: A Star Wars Story is released on Digital on September 14 and on Blu-ray on September 25.